The Far Cry series has been going strong since the first game in the series debuted in 2004, with Ubisoft’s first Far Cry game becoming an instant classic due to its incredible graphics, exciting action and exotic locations, something the series has delivered in spades in subsequent entries. But no Far Cry game to date has managed to top 2012’s Far Cry 3, arguably the best game in the franchise and one of the best first-person shooters of the decade so far. Because not only did Far Cry 3 had a great setting and characters, it was also one of the most fun shooters we’ve played to date too. Far Cry 3 had you playing as California kid Jason Brody, who finds himself together with his friends on an island infested by pirates, and must figure out a way to save his pals and return to civilization. He does this by allying with the Rakyat, a tribe of natives led by a seductive woman named Citra, and by taking on the pirates and their leader Vaas in an attempt to free the island from their clutches. And few who’ve played Far Cry 3 will deny that Vaas is one of the best video game characters of all time, an unstable, dangerous and violent lunatic who makes every single cutscene he’s in worth watching twice. 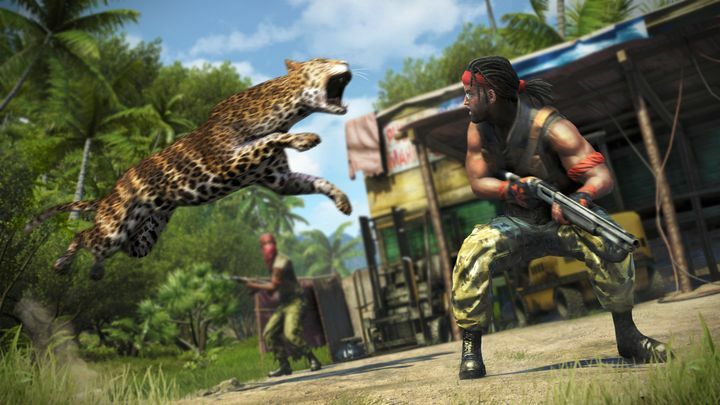 It’s a good thing, then, that Ubisoft will be releasing Far Cry 3 this summer on PS4 and Xbox One, meaning users of current-gen consoles who have not yet played this classic Far Cry game will get a chance to do so this summer. Ubisoft is yet to announce a price for Far Cry 3 Classic Edition, which is the name of this edition of Far Cry 3, although those who purchase Far Cry 5’s season pass will get Far Cry 3 Classic Edition for free with it (PC owners will receive a free copy of the original PC version of the game instead). It’s a pity, though, that this appears to be a simple port of the original version of the game and not a remaster with graphical and sound upgrades, but it’s nonetheless a good thing that the best Far Cry game to date will finally be available on PS4 and Xbox One. Here’s hoping too, that the upcoming Far Cry 5 manages to offer as much fun and exciting action as the series’ best games have to date, something we’ll find out when Ubisoft’s latest Far Cry game ships this March. Note: Far Cry 3 Classic Edition will be released in summer 2018. Available on PS4 and Xbox One.